Shiro Saigo - Judo's Secret Weapon? Was Shiro Saigo the "secret weapon" of Judo? ... And did Jigoro Kano popularize his new art by using a ringer? In 1886, the Tokyo Police Department hosted a Judo vs. Jujutsu tournament. And, although there aren't as many details available to us today as we might wish, some details are clear. For example, there seems to be no doubt that Kano's students won the majority of the matches. This simple fact demands an explanation. What I'd like to do in this article is to examine the various claims made about this tournament (specifically dealing with Shiro Saigo), and try to sort fact from fiction. 1. Jigoro Kano "stacked the deck" by using students who'd previously trained in Jujutsu. 2. Shiro Saigo was one of these "deck-stacking" students of Kano. He was really a master of Daito-Ryu Jujutsu. 3. 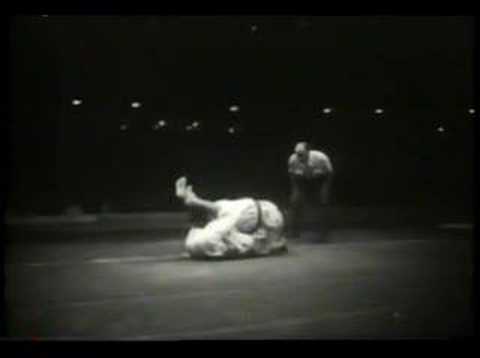 The technique that Shiro Saigo used to dispatch his opponents (Yama Arashi) was not taught in Judo. There is some doubt as to what the technique actually consisted of. Each of these statements are readily found on either the Internet, or in various Jujutsu books. "Jigoro Kano 'stacked the deck' by using students who'd previously trained in Jujutsu". This is at least partially true, in the sense that many students of Kano had previous experience in various other arts, but completely misses the point. For example, it's well known that Shiro Saigo was studying Tenshin Shin'yo Ryu at the same dojo where Jigoro Kano was an assistant instructor. This was before Shiro Saigo started training exclusively under Jigoro Kano in what was to become Judo. Just as Jigoro Kano himself had studied both Tenshin Shin'yo Ryu, and Kito Ryu, before founding Judo. The point that is apparently being missed by some, is that the fact that some students of Kano had previous training doesn't explain anything. You still have Jujutsu students (that all train at one particular dojo) defeating other Jujutsu students. What was the difference between "Kano's Jujutsu" and the other styles of Jujutsu that allowed Kano's students to overwhelmingly defeat them? In my opinion, it was the difference in training methods. 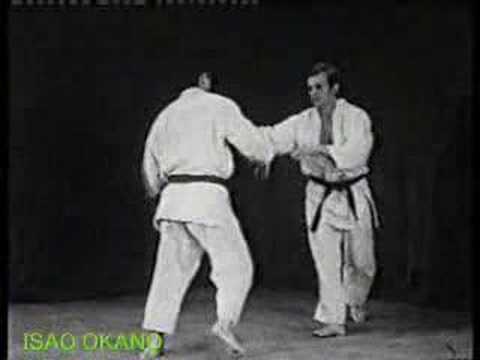 Kano made a strict division between Jujutsu techniques that could be safely practiced at high speed and full power, and those techniques that could not. If they couldn't be practiced with full speed and power, he relegated them to Kata practice. Kano's students could concentrate on the relatively fewer techniques, and become much more proficient while keeping injuries to a minimum. During a discussion of this article at E-Budo.com, Joseph Svinth made the point that keeping injuries to a minimum is not a point to be glossed over. By keeping injuries down, the Kodokan Judoka could essentially multiply the time they spent practicing, as they were not recuperating from numerous injuries. The lessons learned from the 1886 tournament continues to echo down to the present day. Martial arts that don't have a strong tradition of training with full speed and power against resisting opponents have been mowed down by those that do. This is, perhaps, the reason that some modern day Jujutsu styles seem to spread "stories" about Judo, and the 1886 tournament. They wish to give alternative reasons for Judo's victory. While it's not my intention to go into detail about the 1886 tournament, it's common knowledge that it was a series of matches, commonly the number given is 15. 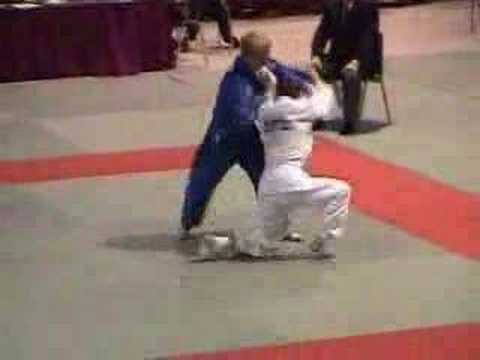 By dropping the number down to one, it becomes possible to place Judo's victory at the foot of another style. This is a good example of poor scholarship (or revision of history) from an otherwise fine book. Another interesting fact, is that if Jigoro Kano "stacked the deck" in the 1886 tournament, the other Jujutsu masters of the day apparently knew nothing about it. They increasingly allied themselves with the Kodokan. People who believe that Judo "cheated" their way to victory, cannot explain why contemporary Jujutsu masters thought highly of Jigoro Kano. Here's an interesting photo from a conclave of leading Jujutsu masters at the Dai Nippon Butokukai in Kyoto on July 24th, 1906. They had gathered to formulate the official katas to be used by the Kodokan. Judo Kata Seitei-iin (Members of the Committee to Establish the kata of Judo). (Front row, right to left): Hiratsuka Katsuta of Kagawa (Yoshin Ryu); Yano Koji of Kumamoto (Takeouchi San-To Ryu kyoshi); Sekiguchi Jushin of Wakayama (Sekiguchi Ryu); Totsuka Eibi of Chiba (Yoshin Ryu hanshi); Kano Jigoro of Tokyo (Kodokan Judo hanshi); Hoshino Kumon of Kumamoto (Shiten Ryu hanshi); Katayama Takayoshi of Kagawa (Yoshin Ryu); Eguchi Yazo of Kumamoto (Kyushin Ryu kyoshi); Inazu Masamizu of Kyoto (Miura Ryu). My thanks to Brian for his work in correcting this! "Shiro Saigo was one of these "deck-stacking" students of Kano. He was really a master of Daito-Ryu Jujutsu." Shiro Saigo was born on Feb 4, 1866, making him just 16 years old in 1882, when he became the eighth student to sign the enrollment register at the newly-established Kodokan dojo. So if he was a "master" of anything at age 16, it doesn't speak very highly for what he was a "master" of, does it? The dates are quite obviously wrong, since Saigo was born in 1866, which made him 22, not 16 in 1888. And since Saigo was one of the Judo representatives in the 1886 tournament, for him not to have even met Kano until two years later seems strange. But this paragraph is actually quite typical of the mistakes found routinely while researching Shiro Saigo's life. Interesting to keep in mind when following this lineage, is that Sokaku Takeda's father, Sokichi Takeda, was a sumo wrestler weighing in at 240, and held the provincial rank of Ozeki (in Aizu). He was also an expert swordsman and expert in Bojutsu. He had been taught Hozoin-ryu Takada-ha sojutsu (Art of the Spear) form his father-in-law, Dengoro Kurokochi. He'd also had practical fighting experience, fighting in the Boshin Civil War at the Battle of Toba-Fushimi in Kyoto, and later in the battle at Aizu Wakamatsu Castle. He had his own dojo on his property, where he taught others. May I suggest that what early training Sokaku Takeda received, he received from his father? Is it reasonable? Now, we need to see what possible connection Sokaku had with Shiro Saigo, to determine if it is reasonable to assume that Shiro Saigo ever learned Daito-ryu. The connection is to be found in the name of Tanomo Saigo (1830-1903 who later changed his name to Chikanori Hoshina). Shiro Saigo was the illegitimate son of Tanomo Saigo according to some sources, who in any case adopted Shiro. Chikanori was the chief councillor and governor-general of the Aizu clan. He was thus a quite politically powerful and important man. It is an historical fact that Sokaku Takeda spent some time with Chikanori, learning what Sokaku called "Oshikiuchi". Leaving what that may have been until later, the theory is that Soemon taught, not his son Sokichi, who would teach Sokaku... but that Soemon taught Chikanori, who admittedly *did* teach Sokaku Takeda something. "Question: Sensei, you've been pursuing some historical research on the Daito-ryu. Can you tell us about the relationship between the famous Shiro Saigo and Daito-ryu? Unfortunately, history doesn't record that Sokaku Takeda was a bodyguard for anyone, let alone the chief councillor for the Aizu clan. Neither does history record that Chikanori was the "headmaster" of any martial art. Sokaku Takeda almost certainly learned some martial skills from his father, who was a Sumo Ozeki and Bojutsuka, with his own dojo... but it's rather doubtful if Sokaku Takeda learned anything at all from his grandfather. After all, Sokaku was born in 1858, while his grandfather had died five years earlier in 1853. Furthermore, history *does* record that Shiro Saigo gave up his study of Judo, but other than becoming a master of Kyudo (Archery), history says nothing at all about his knowledge of, or teaching of, Daito-ryu. 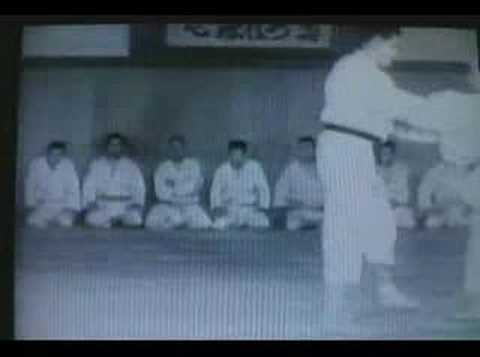 So, did Shiro Saigo ever learn any Daito-ryu? I think history is fairly clear here, no, he didn't. 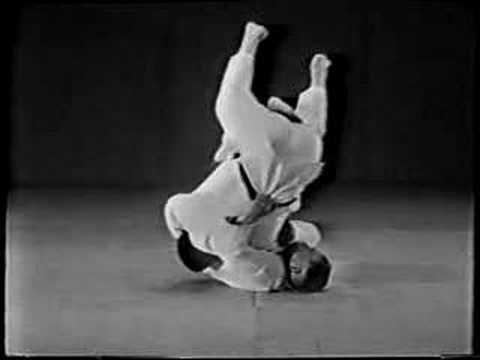 The technique that Shiro Saigo used to dispatch his opponents (Yama Arashi) was not taught in Judo. There is some doubt as to what the technique actually consisted of. The falsity of this statement is probably the easiest of all to demonstrate. And yet, it's a statement that I run into quite often on the Internet. One has to wonder why this statement is still being made, knowing how easily it can be shown to be incorrect. In reading the above paragraph, the only one that seems to be true is the third sentence. All the rest of the statements are demonstrably wrong! Yama Arashi was in the first compilation of the Gokyo no waza, and has always been taught in Judo. It's not, however, a particularly popular throw. 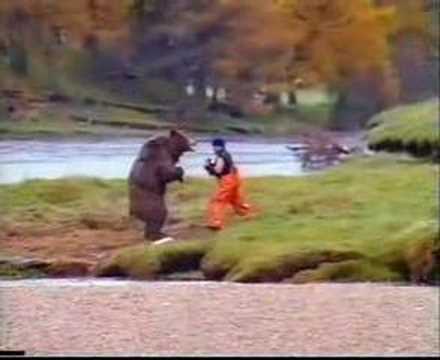 But it is a recognized Judo throw, and always has been. 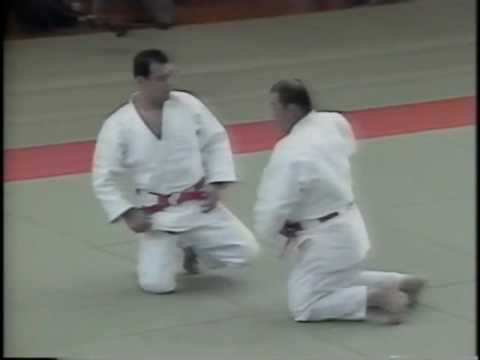 DePasquale Jr. also states that "Jigoro Kano intelligently, if a little unfairly, used a master Daito Ryu technique to prove the supremacy of his own Judo method." Since I've shown that there's a great deal of doubt that Shiro Saigo learned *any* Daito-ryu techniques, this statement is not very accurate. But for the sake of discussion, let's imagine that it is absolutely correct. The mystery would then be how contemporary Jujutsu masters were unaware of this. It's certainly no secret that many Jujutsu masters joined with the Kodokan in the years following the 1886 tournament. Their reasons, of course, were many, but they wouldn't even consider joining the Kodokan if they'd thought for a moment that Judo had 'cheated' their way through competition. Would they? "However, our research reveals that it must have been performed as shown in this section." It becomes apparent when reading Mr. Obata's answers, that he has based his entire theory on either the book written by Tomita Tsuneo, or the movie, Sanshiro Sugata, that was based on the book. Since Mr. Obata is not a Judoka, it would seem that the first avenue of research would be through Judo literature. It seems obvious that he would not have "guessed" how Yama Arashi is done had he researched Judo sources rather than a "knowledge of Aikijujutsu". Another bit of proof, if any more is needed, is to compare the Aikijujutsu version of Yama Arashi. It has been said that if Shiro Saigo missed his favorite technique, he would continue his attack by dropping into Tai Otoshi. The version of Yama Arashi propounded by Mr. Obata simply doesn't allow that, as we can see below. Literally 'mountain storm' this technique did in fact fall into disuse with the advent of modern Judo and was 'lost'. However our research reveals that it must have been performed as shown in this section. 'Yama Arashi' was made famous by Shiro Saigo when he was fighting for the reputation of Kodokan Judo, against the older schools of Jujutsu. No Judo man since him has been able to perform this throw, and it seems that it was never included in the curriculum of the Kodokan. To perform 'yama arashi', as you grapple with your opponent, block or slip inside his arm, crouch and throw him in one fast movement. Variations include using your leg to help with the throw, throwing the opponent onto his head instead of away from you and a greater degree of emphasis on a wrist hold to perform the technique. 1. 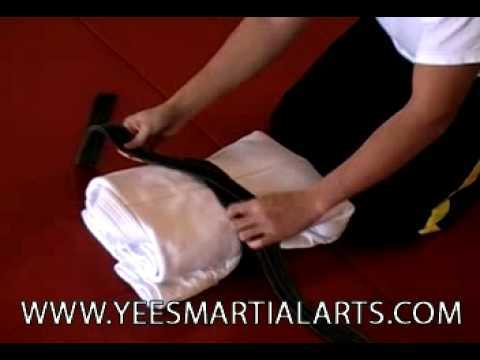 As you grapple with an opponent, take hold of his collar and right arm. 5. ...and in one continuous movement, throw him forward and down by shifting your weight forward and pulling down with both hands. We do have several eyewitnesses who knew & trained with Saigo over the course of many years. They experienced his yama arashi at first-hand many times, and saw him use it in the famous 1886 tournament. In fact, they fought beside him in that tournament. Tomita's son Tsuneo (also a judoka) wrote Sanshiro Sugata in 1942. In 1909, when Tsuneo was five years old, Yokoyama published Judo Kyohan, a "master text" illustrating & describing the Kodokan curriculum. It features the original (1895) gokyo no waza, which had yama arashi as a standard throw. Yokoyama helped create the 1895 gokyo. Yamashita, Kano, and other contemporaries of Saigo appear in the illustrations. Kano himself reviewed and approved it. At the time of it's publication, Saigo Shiro was alive and vigorous and owned his own newspaper. He certainly could have objected to any perceived inaccuracy in the depiction of "his" technique. Some time between 1890 (when Saigo left the Kodokan) and 1895 (when the gokyo was first promulgated) The Kodokan changed yama arashi. Everyone listed above, as well as hundreds of others, either remained silent, or actively promoted the deception. Saigo himself went along with the conspiracy. William of Occam...please call your office. Your razor appears to be missing. I find myself in agreement with Brian, with his humorously sly reference to the principle of Occam's Razor. 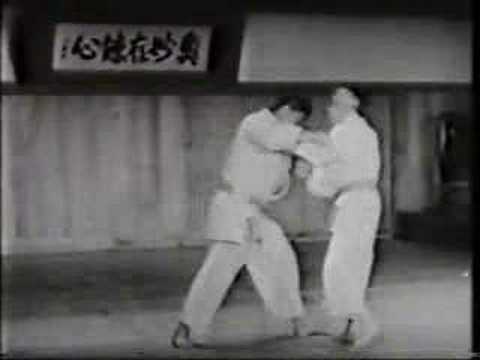 Sakujiro Yokoyama certainly trained with and alongside Shiro Saigo for many years, and it would be strange indeed, if Yokoyama wasn't familiar with Shiro Saigo's favorite technique. 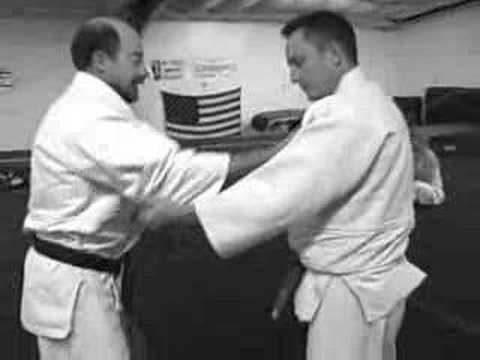 Now, in order for us to imagine that there's any doubt whatsoever about this technique, we will be forced to believe in a vast conspiracy of early Judoka... or much more believably, that people who claim Yama Arashi is a lost technique simply haven't done the basic research. Now, is the Judo's Yama Arashi the Yama Arashi? Certainly not. 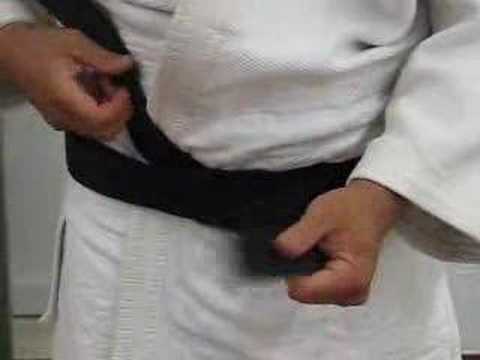 There are almost as many "versions" of this technique as there are Jujutsu schools... some of whom claim to have "re-invented" a "lost" technique. And, as long as their claims of "lost techniques" are not in reference to Judo, that's none of my concern. But to come to the conclusion that Shiro Saigo was trained in Daito-ryu, based on the fact that Daito-ryu *also* has a technique called Yama Arashi, is mistaken reasoning. Just as coming to the conclusion that Shiro Saigo's father, Chikanori Hoshina, must have been a Jujutsu master because he is associated with two admitted martial geniuses, is again, faulty reasoning. Now the question becomes, why do so many Jujutsu styles continue to pass along myths about Shiro Saigo, and the tournament of 1886? My own theory is relatively simple. The lessons of that famous tournament continue to echo down to the present day. 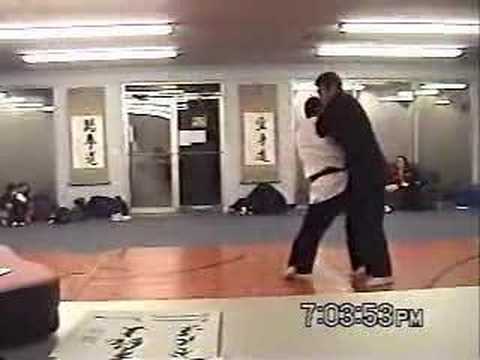 That tournament taught us that a style that is capable of practicing its techniques with full power and full strength (with a minimum of injury), against a resisting opponent, will have the upper hand when compared to a martial art that does not train this way. Judo's advantage was not "stacking the deck" with Jujutsu "masters". It was not Shiro Saigo. (who after all, only accounted for one of many matches) And it was not a Daito-ryu technique, long lost, that won the day for Judo. There are, then, Jujutsu styles today that wish that the lessons of 1886 could be explained away. I recall one long-time Judo instructor who confided to me that "When Daito-ryu talks about Judo, they lie". Now, that seems to be a rather harsh statement, and this is not a "bash Daito-ryu" article. But the 'sense' of the comment is that way too much misinformation on Judo seems to emanate from various Jujutsu styles. Hopefully, the information presented here will allow readers to see how distorted and wrong much of our martial history is. It seems that far too much of our historical information is passed along orally, and not subjected to very much critical thought. This is, of course, partially the result of our heritage... "what the sensei says is the truth" sort of thing. But if we wish to remain true to our ideals, they cannot be founded on anything less than the truth. Judo is not the greatest martial art in the world, absolutes rarely are... but neither is the spread of Judo an accident of history, cheating its way to Jujutsu supremacy. "Shiro Saigo (1866-1922) Third son of Shida Sadajiro, a samurai of the Aizu Domain, born in 1866 in Aizu Wakamatsu. In 1882 he moved to Tokyo and enrolled in the Kodokan. In 1884 he was adopted into the family of Tanomo Saigo, a former elder councillor of the Aizu Domain and took the name Hoshina Shiro. In 1888 he reverted to the surname Saigo in order to resurrect the Saigo family line, which had died out with the passing of Saigo Tanomo. Exceptionally talented a martial artist, he was particularly well known for his powerful yama arashi ("mountain storm") technique. He earned the rank of shodan in judo in August 1883, nidan in September of the same year, jumped to yodan in August 1885, and godan in January 1889. However, he later left the Kodokan organization in May 1890 while Jigoro Kano was away travelling. He is also known to have been the model for the main character in Tomita Tsuneo's 1942 novel Sugata Sanshiro. He died in Onomichi in Hiroshima prefecture in December 1922." Reference #4 - Daito-ryu Aikijujutsu by Stanley A. Pranin (page 10-11) This book is an extremely useful reference to any student of Judo, Jujutsu, or Aikido. Mr. Pranin holds the rank of Godan in Aikido, and is the Editor-in-Chief of Aikido Journal The book consists of a series of interviews with many of the top Daito-ryu sensei. I like this book because it hasn't fallen victim to easy factoids, and Mr. Pranin has done the actual research.